Galion High School’s first year of competition in the Mid Ohio Athletic Conference is officially in the books. 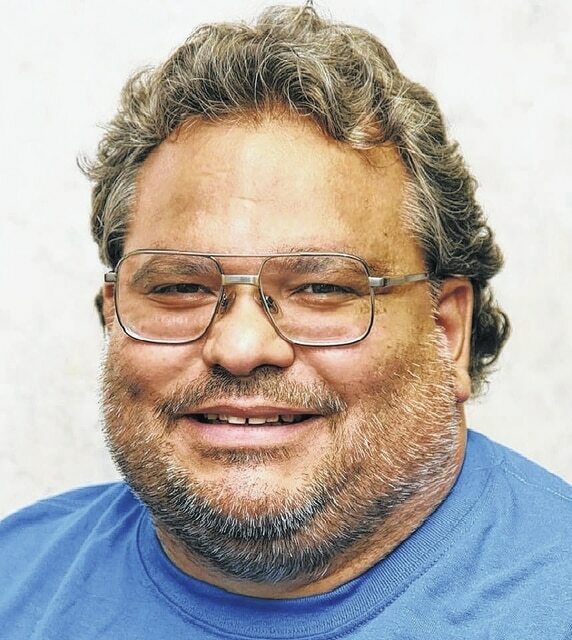 Spring sports awards were recently doled out and the orange and blue added another piece of hardware to its collection after Todd Roston was honored as the 2015 MOAC Red Division girls track and field coach of the year. Roston is the third Galion coach to win the Red Division’s top honor during the 2014-15 school year. Jaime Valentine won volleyball coach of the year and Ted Temple picked up the boys swimming coach of the year award. Three Tigers won athlete of the year titles: Reanne Neal for volleyball, Sam DeNero in boys swimming and Deaken McCoy for wrestling. Galion tied for the Red Division title in volleyball; won the girls track and field team title and finished second in boys track and field; placed second in girls cross country and third in boys cross country; finished second in the girls MOAC tennis tourney; and was third in football. Not a bad haul for a school in its first year in the MOAC. The only major complaint I heard voiced by Galion fans and coaches throughout the course of the season was in regard to the distance Tigers student-athletes had to travel to some MOAC locales, especially on school nights. Trips from Galion to North Union, Buckeye Valley, Fairbanks and Jonathan Alder are no picnics, especially on school nights. Did I say that already? The Milford Center and Plain City trips are each a two-hour round trip. At least there’s a Der Dutchman in Plain City. With Fairbanks leaving the MOAC for the Ohio Heritage Conference, it remains to be seen if the travel burden will be lessened at all, depending on which school joins the Red Division. Indeed, who will the MOAC brass find to fill the vacancy left by the departure of the Panthers? Upper Sandusky would be a good fit, but the Rams (enrollment of 226 boys, 220 girls) already had their cup of coffee with the MOAC and opted to jump to the Northern 10 (now Northern 9, I guess, with the departure of Crestline). Like Galion, Upper Sandusky was a longtime member of the Northern Ohio League, then made the move to the North Central Conference in 2011. Bucyrus (158 boys, 175 girls) would also be a good option for the MOAC Red Division, given its enrollment and proximity to the three Marion County schools plus the fact that North Union is a straight shot south on Ohio 4 and Buckeye Valley is an easy trip down U.S. 23. But I seriously doubt BHS will leave the N10 anytime soon. Speaking of Bucyrus, one extremely generous individual helped out the Redmen athletic program recently. Chris Danals won the Bucyrus High School Athletic Booster Club raffle which was held during the district track and field meet on May 22 at BHS. The grand prize was a street-legal golf cart or a cash prize of $3,000. Mr. Danals chose to take the cash and immediately donated $1,500 to the Bucyrus Athletic Booster Club, earmarking $500 for the Redmen wrestling program. Kudos to Mr. Danals!